Three students floating in a boat in front of Hubbard Hall. 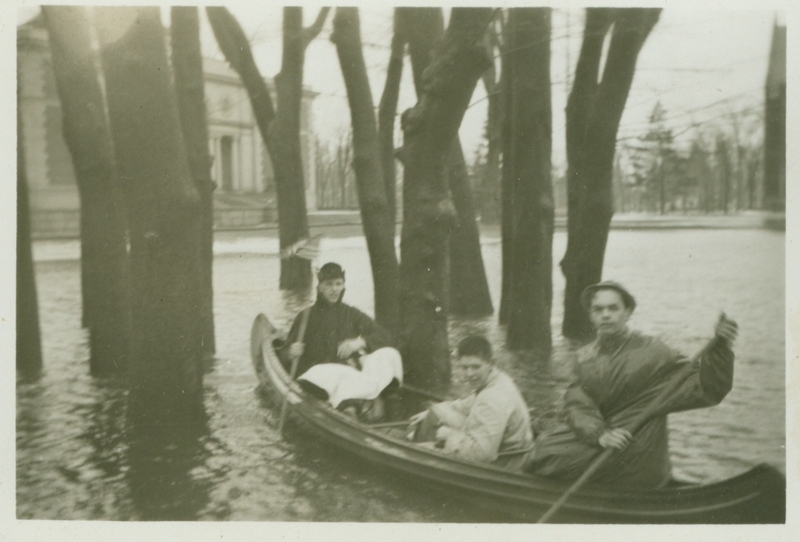 Left to right Richard Means (Bowdoin 1944), Elroy O. LaCasce, Jr. (Bowdoin 1944), and George Hebb, Jr. (Bowdoin 1944) floating in a small boat in front of Hubbard Hall on a flooded quad. Walker Art Museum seen in the background.